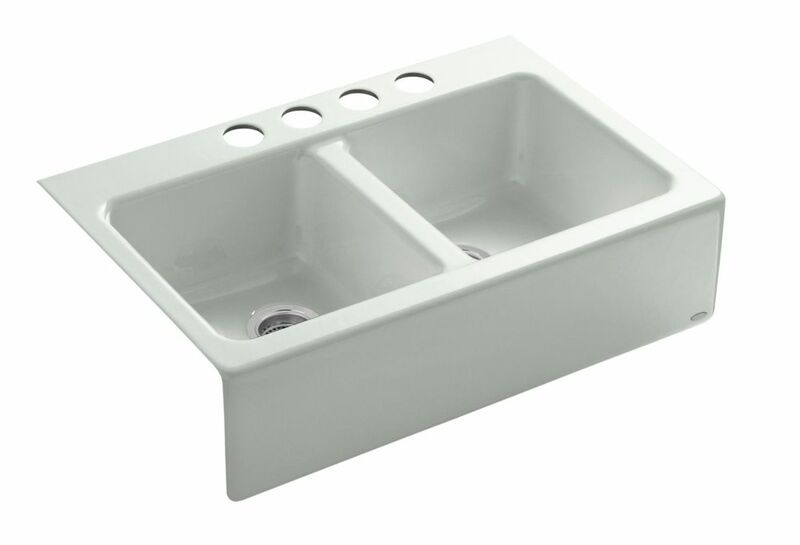 Hawthorne Apron Front Undermount Cast Iron 33 Inch 4-Hole Double Bowl Kitchen Sink In White Create an understated and elegant workstation with the Hawthorne double-basin kitchen sink. Inspired by farmhouse sinks, the under-mount apron front makes it a classic design choice for existing 33-inch apron-front cabinetry. Crafted from enameled cast iron, this sink resists chipping, cracking, or burning for years of beauty and reliable performance.